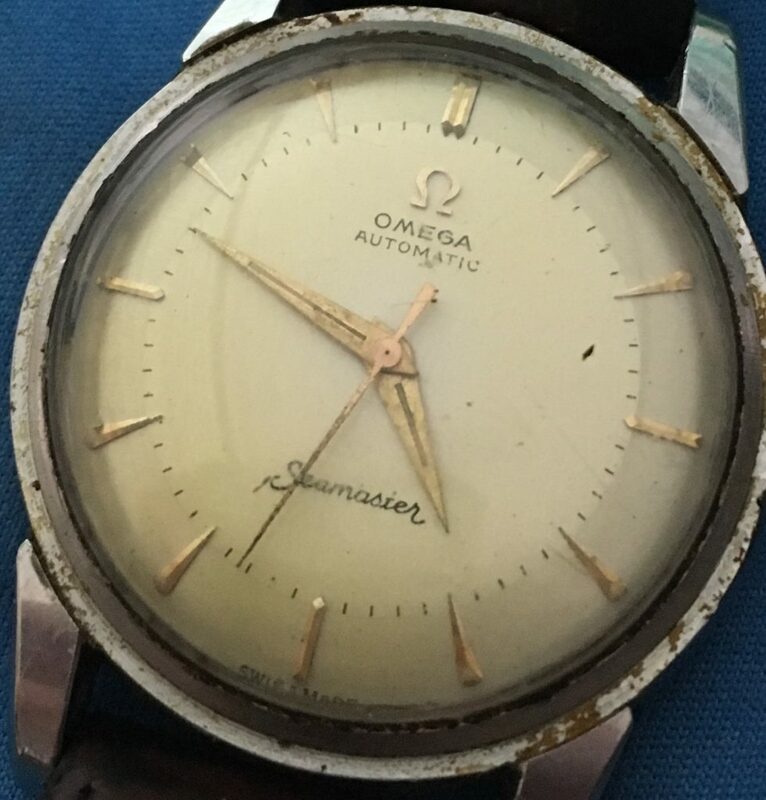 I received this very nice Omega 354 “bumper” automatic in for restoration, and complete service. The case had quite a bit of dried dirt and gummy residue that had turned hard, as well minor scratches and dings. 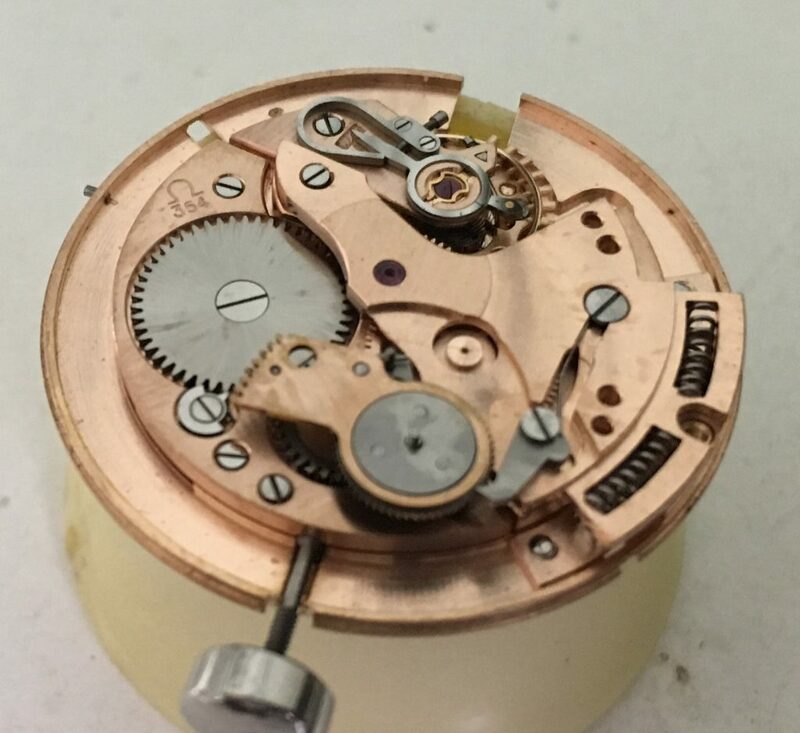 As the movement was disassembled, it was evident that it had been a while since the last service. 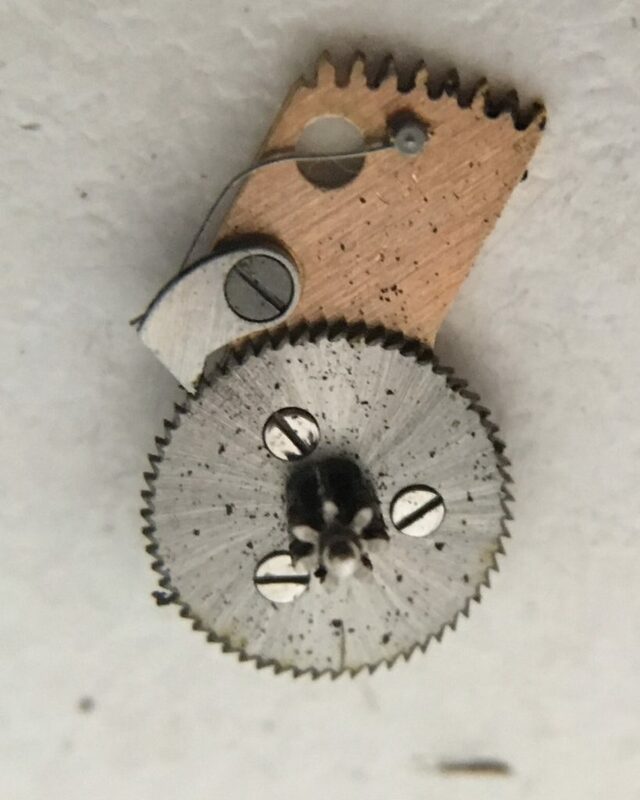 Even though the case was sealed, the watch was well used and particles of dirt mixed with old oil coated parts of the movement. 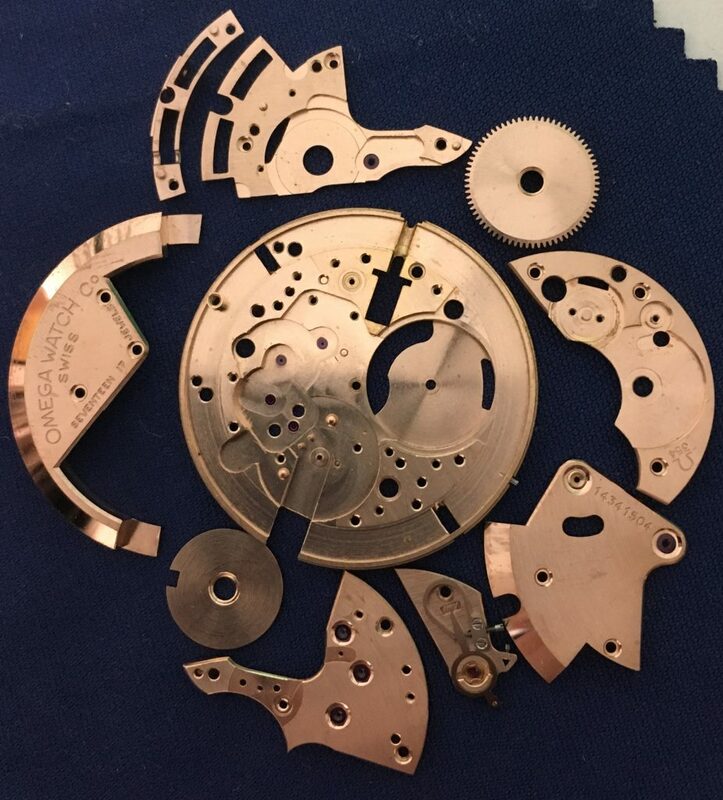 The fully disassembled movement was cleaned throughly and reassembled. 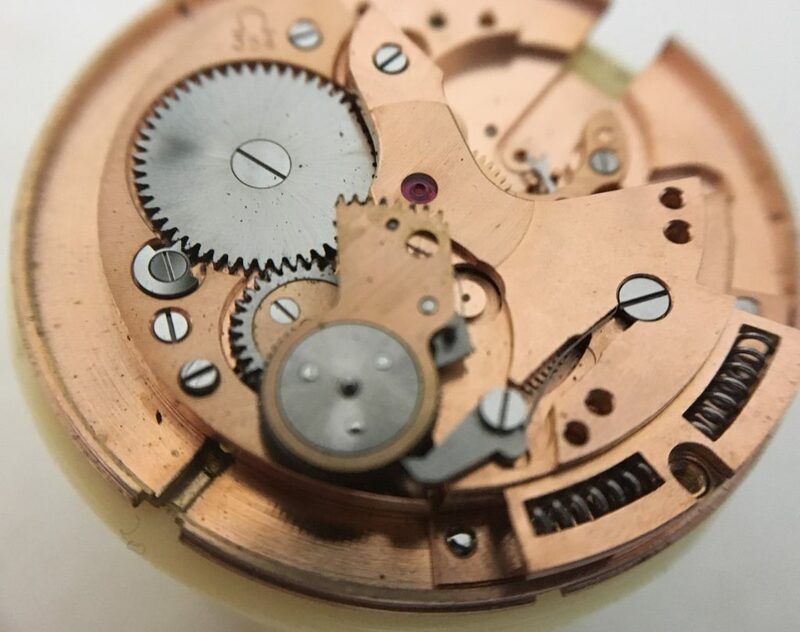 Although initially very dirty, the movement was in excellent condition. 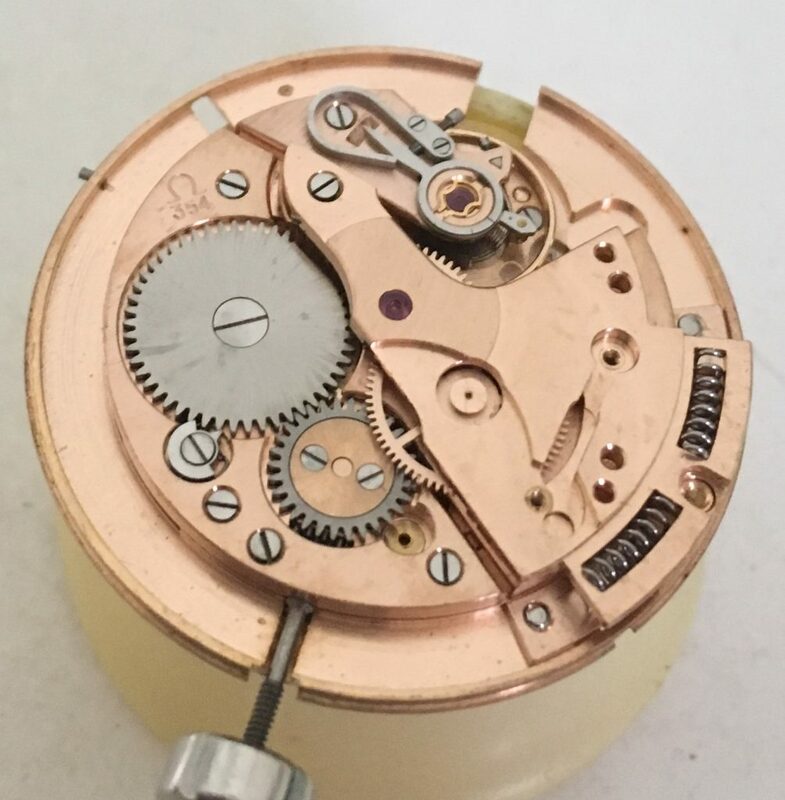 The mainspring was replaced with a genuine Omega new old stock spring. 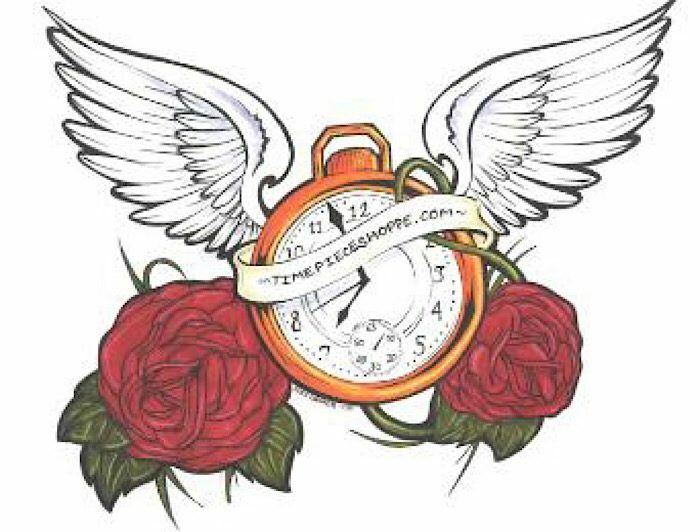 The case was buffed out, and the crystal was replaced. The hands are original, but I re-lumed the hands. 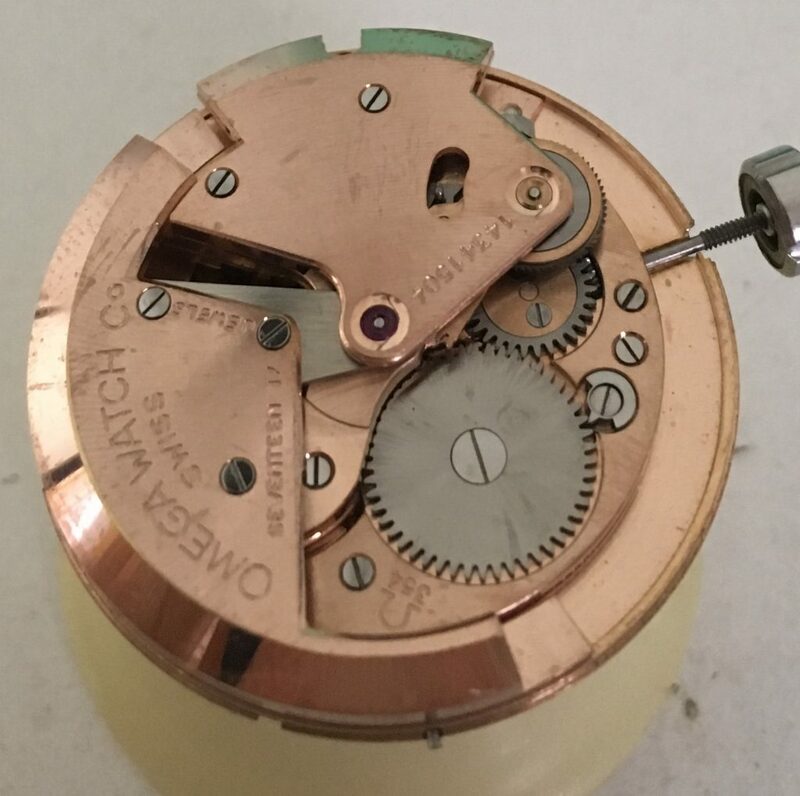 The timing machine readout indicated an excellent rate at around -5 seconds/week in face up position, with some minor variation in other positions. 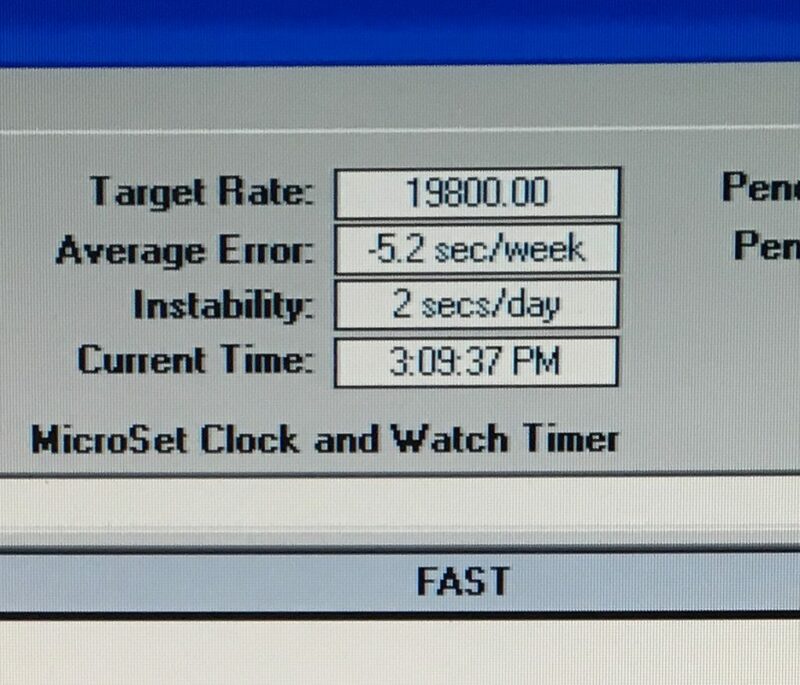 Will it keep this excellent rate during day to day use? Probably not. 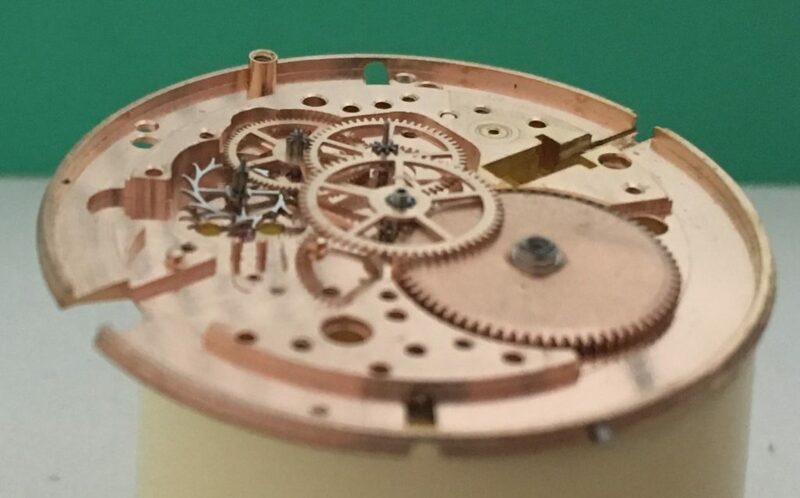 Even modern quartz watches can vary up to 2 seconds/day. 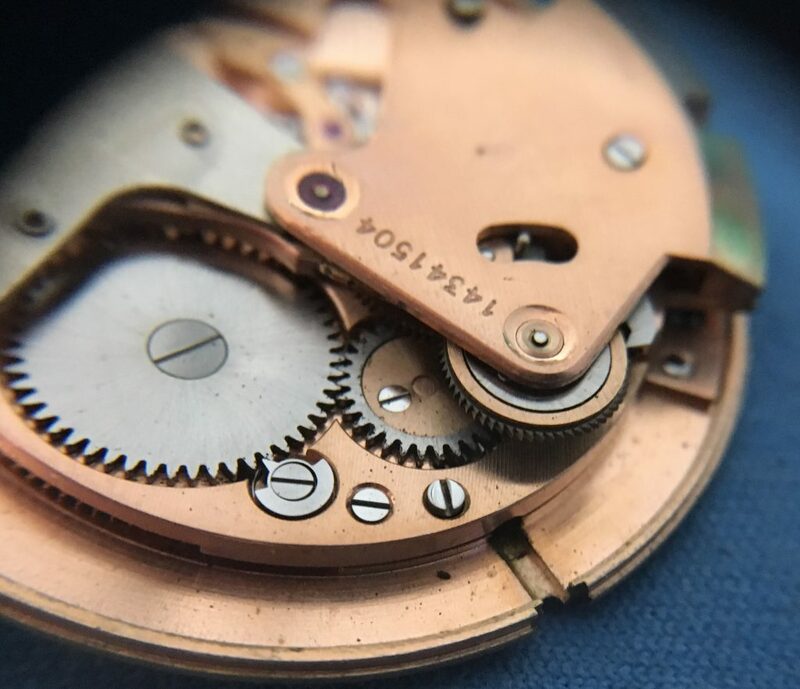 High quality mechanical watches usually vary around 2 to 5 seconds/day after proper service (with some minor variation between positions). 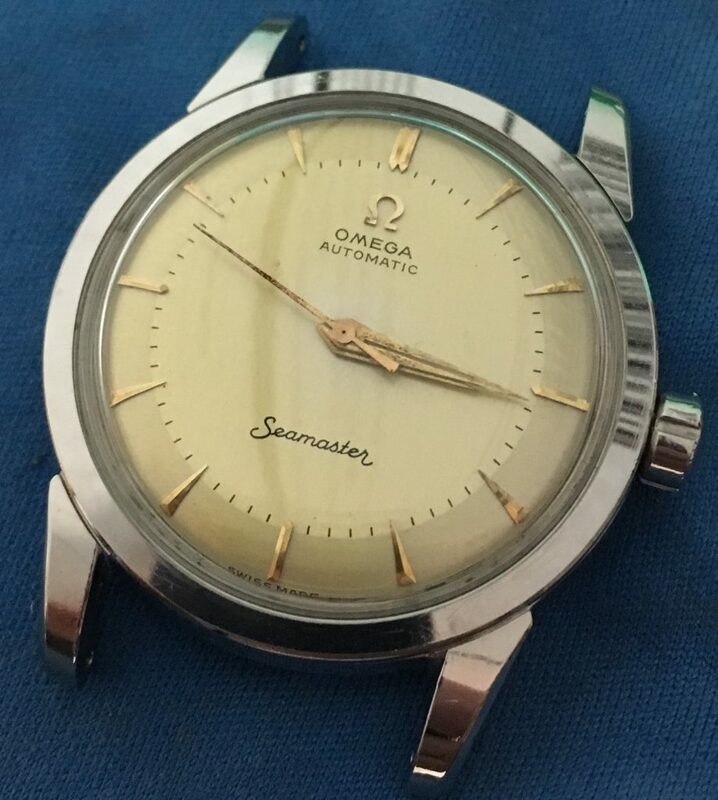 But Omega watches are engineered quite well, and I would not be surprised if it came close.